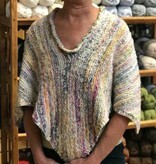 The Afterthought Neckline Poncho is knit from side to side starting with 4 stitches and increasing at the start of each row. 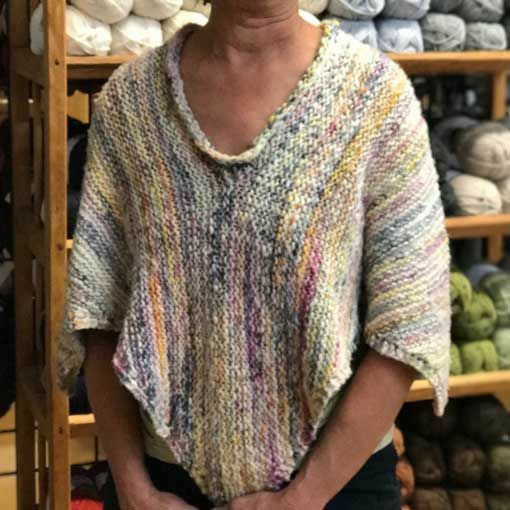 Once you have reached the halfway point you will establish the neckline placement (Original) on scrap yarn or (Simplified) bind off and cast on… and then decrease on to finish the rest of the poncho. The neckline is then finished in the round. 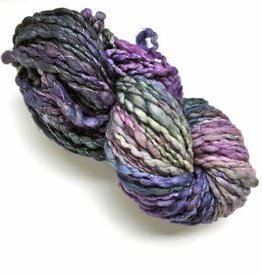 Manos del Uruguay Serpentina is a hand painted and hand spun skein of random colorful fun. Thick quick cold weather accessories for this chunky weight yarn.